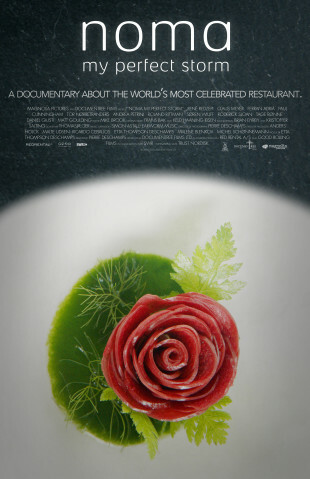 Magnolia Pictures is opening the food documentary NOMA: MY PERFECT STORM about the celebrated chef René Redzepi set against the backdrop of the Copenhagen-based restaurant, NOMA, which is famous for being named The Best Restaurant In The World in 2010, 2011, 2012 and 2014. NOMA: MY PERFECT STORM will open on Friday, December 18th, 2015 at the Gene Siskel Film Center in Chicago. Please see http://www.siskelfilmcenter.org/noma for screening times. 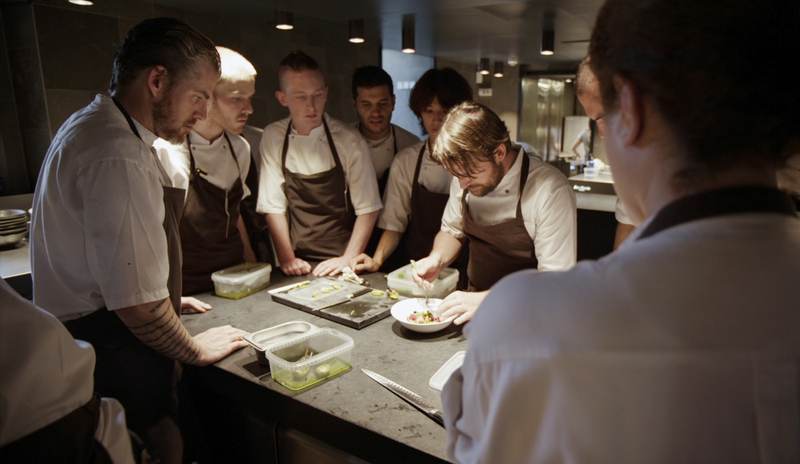 NOMA: MY PERFECT STORM is a feature-length documentary film about the celebrated chef René Redzepi set against the backdrop of the Danish restaurant, NOMA. Famous for its reinvention of Danish cuisine and pioneered approach to “foraging”, sourcing nearly all ingredients from the various environments of Scandinavia, Noma is at the forefront of experimenting with new techniques in food. NOMA: MY PERFECT STORM follows chef and co-owner Redzepi on a creative culinary journey as he traverses the Danish landscape for inspiration, striving to achieve perfection and concoct bold, exciting dishes for travelers from around the world. Inspired by two books written by Redzepi – “Noma: Time and Place in Nordic Cuisine,” and “René Redzepi: A Work in Progress,” Deschamps spent more than three years at Noma following the renowned chef, obtaining front-row seats to Noma’s machine-like system of operation: a perfect storm of highbrow culinary technology where 45 place settings are served to perfection for four hours, twice a day.